As technology has progressed, so has how we use our lights. When electricity was first used for lighting, it relied on an electrical current passing through an extremely thin piece of wire, generating massive amounts of heat and some light. This technology consumed large amounts of electricity and caused problems such as heat damage, explosions, and lights popping when you switch them on. Next came fluorescent lighting. This technology relies on an electrical current passing through a fluorine gas, emitting UV radiation, which is then turned into light by a coating inside the tube. Known as energy savers, these fittings sacrificed brightness and start-up time for energy use. Costly to produce and often unsightly, they are falling out of fashion for use in the home. Traditional filament bulbs have now been completely replaced by xenon (halogen) alternatives. These lamps use the shapes and sizes of the traditional ones whilst delivering the same amount of light at a reduced energy cost. For example, a 70w xenon is roughly equivalent to a 92w filament lamp. However due to environmental concerns, the UK is phasing out use of these and production and importation will be banned after December 2017. LED (Light Emitting Diode) lamps use incredibly low amounts of energy compared to the amount of light emitted. For example, a 5w led lamp is equivalent to a 50w xenon, which is then equivalent to 70w filament lamp. Because of this reduced energy use, there is also virtually no heat dispersion - you can leave an LED lamp on all day, and pick up the lamp as if it was never on. In addition, LED's are made with solid state materials - this means that they are far more durable and less sensitive than any other bulb. Finally, an LED bulb is rated on average to last 25000 hours of continuous use. That is the equivalent of being on for over 1000 days without being turned off! Taking all of this into consideration, LED lamps are easily the most reliable fittings on the market today, and the best value for money. LED's have led to other developments as well - everything about them can be adapted, including shape, size, colour, style and brightness. 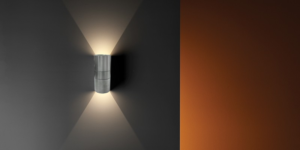 This means that they have become very adaptable in providing multiple lighting solutions. 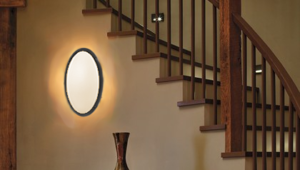 Wall lighting is a modern and exciting way to get round room lighting issues such as lack of floor space and darkened room areas. By using a wall light, you can light up a specific area inside or outside your home to lift the mood and revitalise your favourite space. Ceiling lighting is a must to give any room an even and inviting feel, but there are many ways of achieving it. 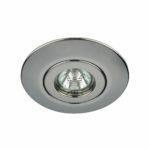 Downlights are a great option for low ceilings and for bathrooms, or even to create a light feature. 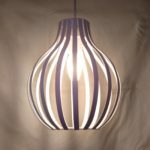 Pendant lights can come in various shapes, sizes and styles, for giving a centerpiece for the room or simply spreading light evenly from one focal point. 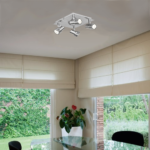 Another option is a ceiling fixture that has adjustable downlights, ideal for focousing light in specific areas whilst still coming from a central point. Looking to give a room some character? Struggling to get the one bit of space lit up? A lamp could be the ideal solution. Lamps have the ability to define a room, giving style and light to needed spaces. Available in various shapes, sizes and styles with additional adaptability with the type of fitting used, here at Blackwell and Denton we can advise to find the right one for you. No matter what your lighting requirements are, rest assured Blackwell and Denton can help you achieve your perfectly styled space with our specifically trained team. Come in and discuss your needs, or click on the button below to book an engineer.